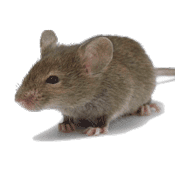 Get rid of your mouse traps for good by hiring Guardian Pest Control to take care of your rodent problem. Our rodent control service is effective and cost less than buying mouse traps every month. We will eliminate your rodent problem quickly and effectively. We are owner operated which means the owner is at every job. To us your business is our livelihood and we will bend over backwards to make you happy. You can count on Guardian Pest Control to keep your home safe from any intruders with our rodent control services. Let us protect your property in Snohomish County and parts of King County. • “Clean Out” Infestation Using Various Professional Techniques. • Lastly Perform Exclusion Service to Block Entry Points to Prevent Future Infestations. Let us give you a free estimate before providing our services. All services are warranted. Complete rodent control includes 3 visits, initial & 2 follow-ups.